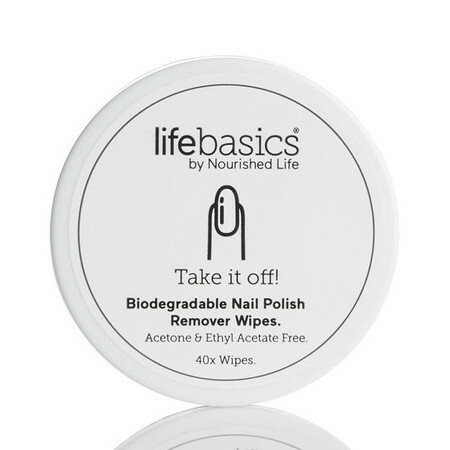 The Life Basics Natural Polish Remover Wipes are a quick, convenient and no-fuss way of removing your non-toxic nail polish, perfect for keeping in your bag when you're on the go and ideal for spill-free travel. 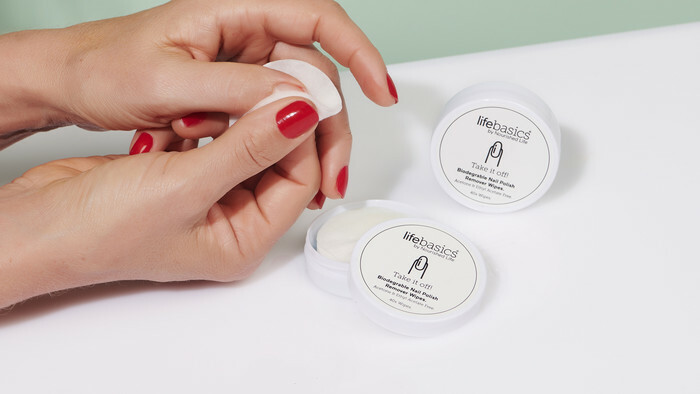 This fast-acting formula with a mild scent contains Organic Calendula, Aloe Vera and Vitamin E to help protect and nourish your nails and cuticles while thoroughly removing nail varnish. 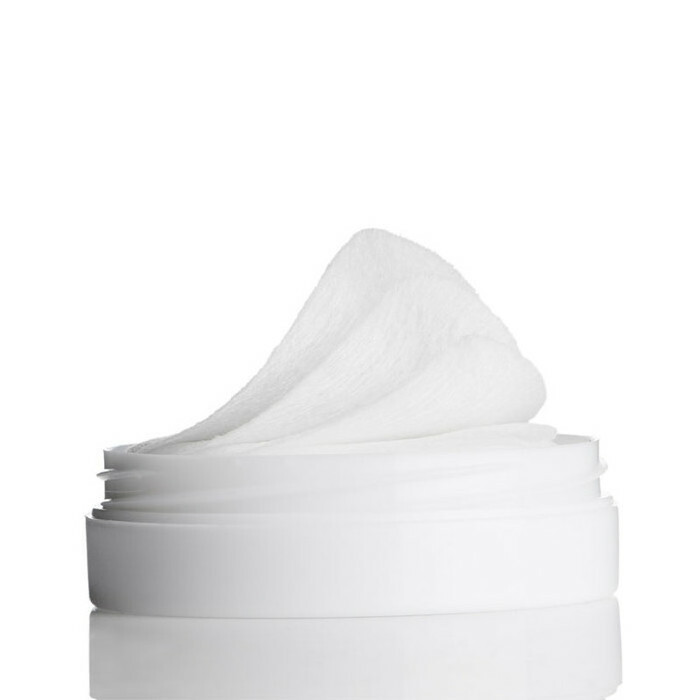 These gentle wipes are also biodegradable, and come in a handy travel-size container of 40 wipes. 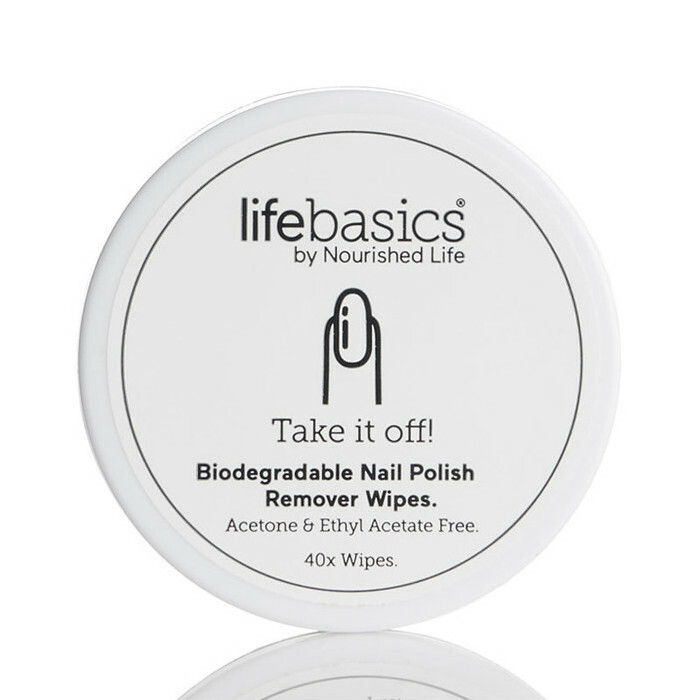 Each wipe will remove nail polish on up to 10 nails. Propylene Carbonate, Dimethyl Glutarate, Polysorbate 20, Dimethyl Succinate, Dimethyl Adipate, Water, Ethanol, Certified Organic Glycerine, Phenylpropanol & 1,2 Hexanediol, Castor (Ricinis communis) Seed Oil, Tocopherol Acetate (Vitamin E), Aloe Barbadensis (Aloe Vera) Gel, Certified Organic Calendula officinalis (Flower) Extract, Potassium sorbate. 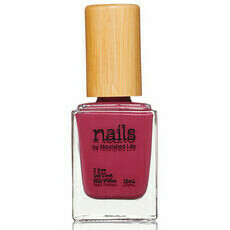 Hold wipe on nail for a few seconds then gently wipe away nail polish. I love these. I got them in my NL subscription box and they will be a regular for me. I use one per foot but it would be easy to use more. Very convenient when travelling, small and compact. Easy to use and remove nail polish easily. So convenient, I prefer these over a liquid remover any day. No spillage! Removes nail polish easily without using a lot of pressure. I love the convenience of these. I keep them in my handbag and use them at work. The only reason I didn't give it 5 stars is because of they are quite thin and you have to use quite a few. 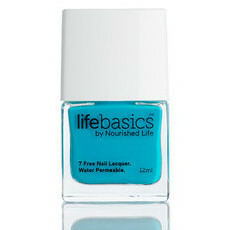 But overall a great product that I am repurchasing.